NGD, aimed high for my first. Discussion in 'Electric Instruments' started by DesolationBlvd, Apr 15, 2019. LSchefman and shimmilou like this. shinksma, LSchefman, Alnus Rubra and 2 others like this. Very nice guitar there. Enjoy it! YESSSSSSSSS! STRAIGHT TO THE MOUNTAIN TOP! I traded away an SG a while ago (for its bass version), but if I ever wanted to replace it, I'd look at an S2 Standard 24 or used Core Mira before considering another SG. I'd also jump if a baritone joined the S2 lineup. But my next gear purchase will most likely be a Mini Rectifier head. Flametastic! Congratulations she’s a beauty. Made it out to Chuck Levin's yesterday. I tried the S2 Cu24 in pink crackle and it was a more than capable instrument. Easily on par with the Gibson Les Paul that was my previous number one. I liked the way the finish was textured. Then I asked about the 30th Anniversary Core Cu24 still sitting around. It really was a jump from the S2. While the S2 was nice and light, the Core felt lighter still. According to the site, it's 6.8 pounds - a welcome contrast to my previous latest guitar clocking in over 10 pounds. The Core sounded more alive even with the over-four-year-old dead strings vs. the S2's fresh strings. I realized I'd probably be pouring more money into the S2: black hardware and most likely the Metal pickups, if not sending it to the PTC for a Floyd. But I wouldn't change a thing about the Core model, so I stepped up to the Core model and didn't look back. It took a little time to get used to the pickups. My amps at home were set up for a Les Paul with an X2N, and the 85/15 set doesn't hit the amp with a brick of mids like the X2N does. But more importantly, the highs are there, to be sculpted away by the tone knob if necessary. Rarely with full-size humbuckers have I used the tone knob (it goes straight to mud). The neck profile fits me very well, especially standing and slung pretty low. 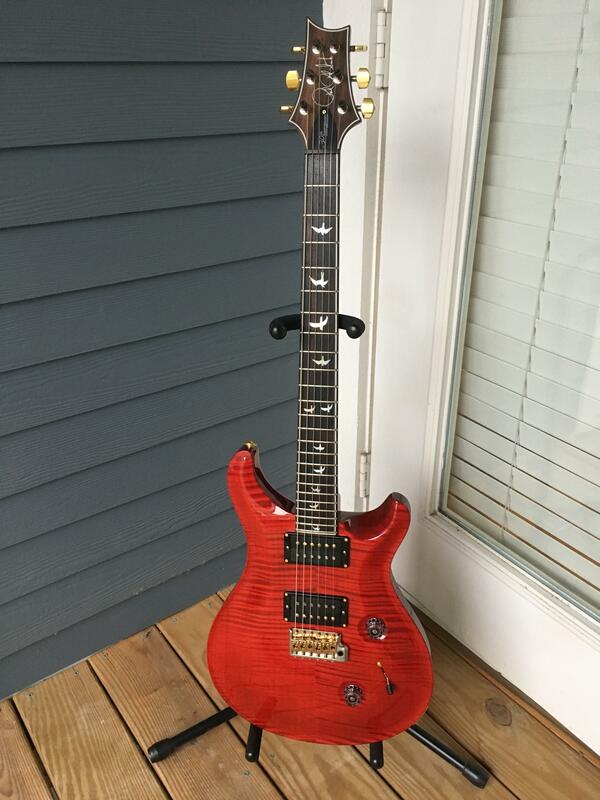 I too joined the PRS owners club with a 'Core' PRS - My 2016 PRS 594. This was my first PRS. It was the most expensive item (apart from a car or 2 but I bought them over 'months' or 'years') that I had ever Purchased. Its been superseded now by my 2018 PRS Hollowbody ii - my most recent Guitar. My 594 was around the same price as both my 2017 509 and 2018 Cu24 - which also goes to show that once you buy a PRS, a second, then a third etc won't be too far behind. Ever since I saw my first PRS in a Music Shop, stunned by the craftsmanship and detail - just on the 'Bird inlays' when everything else in the shop had a dot or a block - nothing as intricate and stunning as the Birds, I knew I had to own one. It may have taken me 30yrs to be in a position to buy a 'core' PRS even though I had a few opportunities to buy an SE when they just had 'PRS' on the Headstock instead of Paul Reed Smith but I wasn't prepared to 'compromise' - whether that is a small or large compromise, that may depend on individual viewpoints but to me, it is still a compromise. Superb choice! The guitar is killer. WOW! That is stunning, I just joined the club with a Sapphire Torero...will post pics when I can. I'm a big Cu24 fan, andI would have bought that one on looks alone! 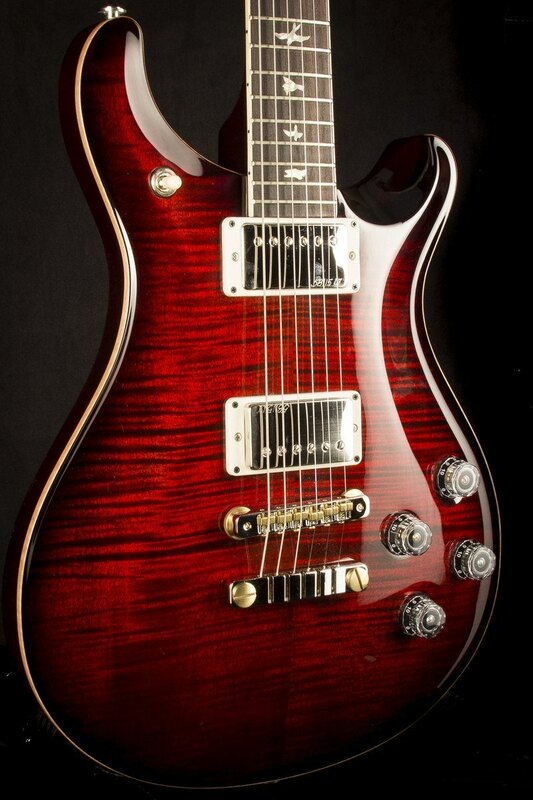 which also goes to show that once you buy a PRS, a second, then a third etc won't be too far behind. Mozzi, I'm going to quote you to my wife. Just realized why the Pattern Regular neck is fitting me so well - my wrist is bending less. With the regular 1 11/16" necks on the rest of my guitars, I have to sling higher or play seated. It'll have to wait until after the next gear purge, which I'm already planning. Since one of the outgoing pieces is an Epiphone ES-335, I'll be left without a semi-hollow, and will probably fill that role with an S2 Custom 22 Semi-Hollow. 30th Anniversary birds and purfling. I LOVE IT. Very nice guitar, sir! Bonus points for the black rings. Bonus points for the black rings. Yep, black bobbin pickups, to me, look best with matching black rings, unless the finish is light and transparent.